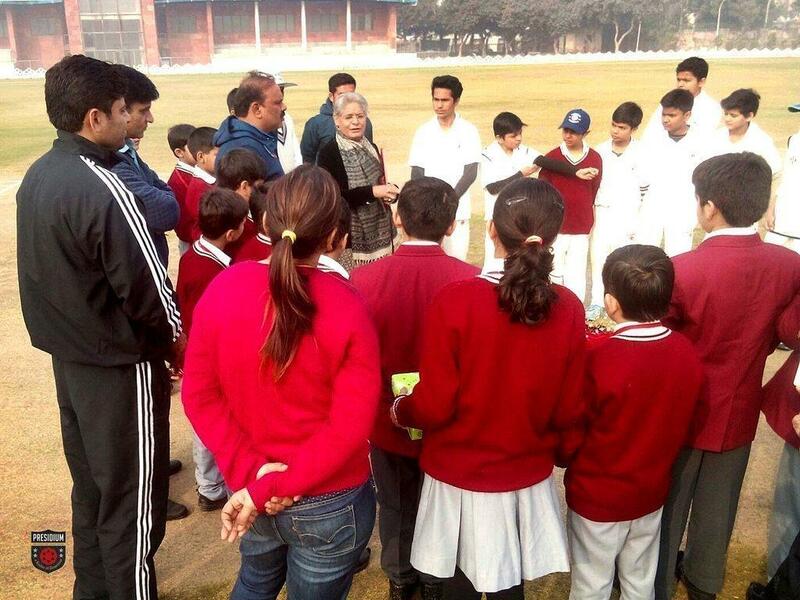 Presidium hosted 3rd Inter Presidium Cricket Championship 2015-16 Finals on 29th January. 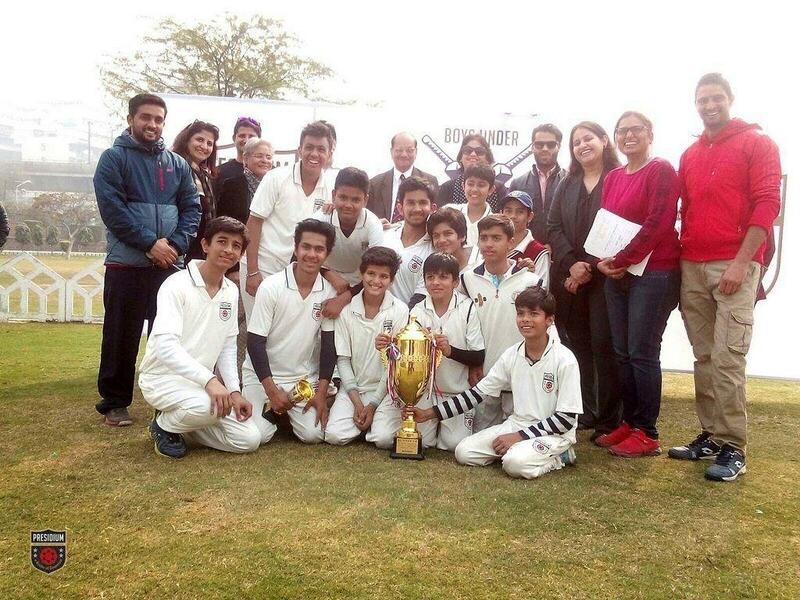 The enthralling finals were between Team Ashok Vihar and Team Indirapuram on. 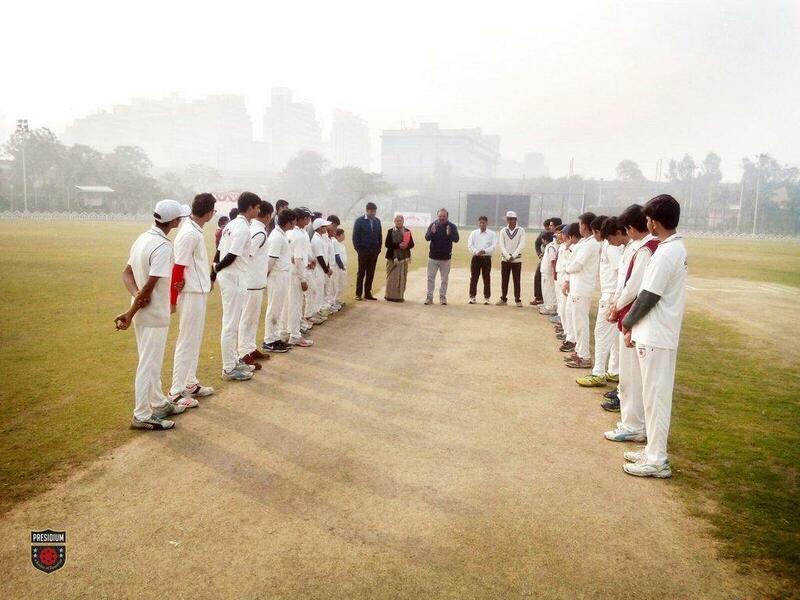 Team Indirapuram finished with an impressive score of 79 in 20 overs, however, Ashok Vihar beat them with an outstanding score of 80 runs in 11.4 overs. 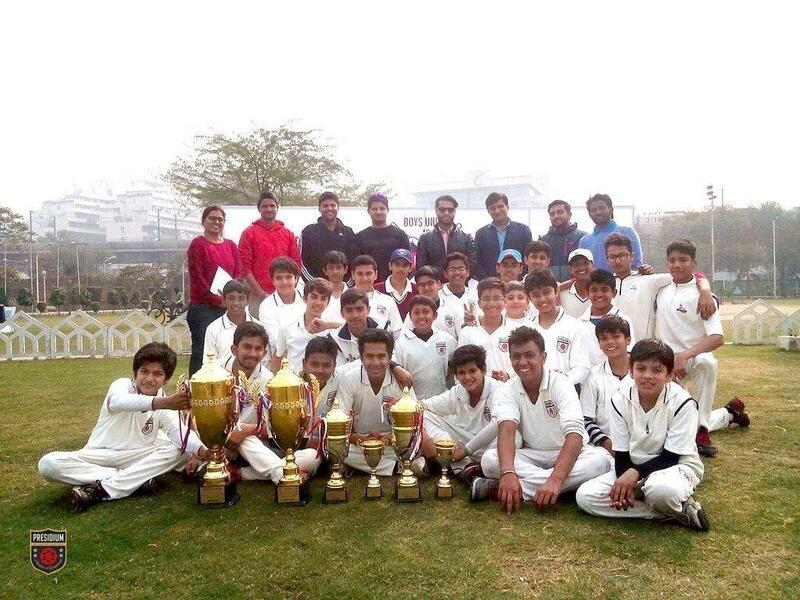 Our budding cricket champ Ashutosh of Grade 9th from Ashok Vihar won the trophy for Best Bowler and the trophy for Man of the Match and Series was won by Aryan Dalal of Grade 8th. 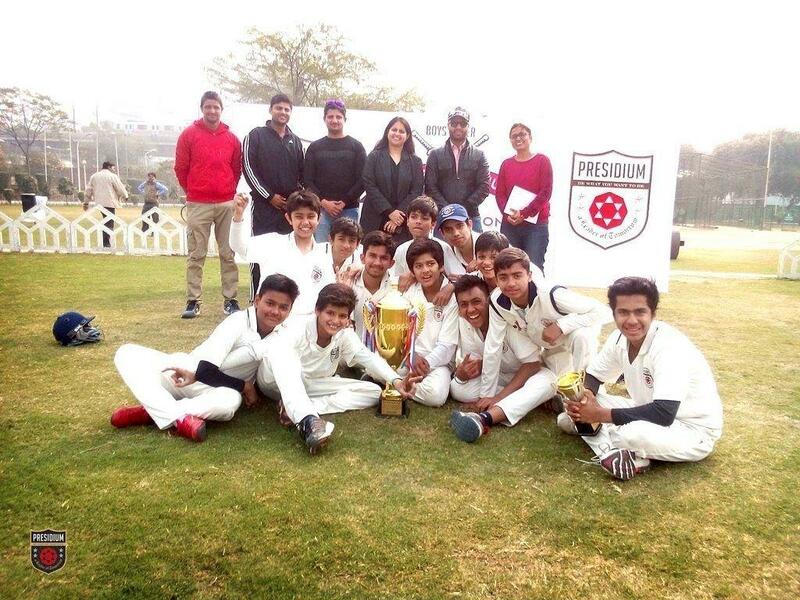 Presidium Indirapuram bagged the Runners up trophy. 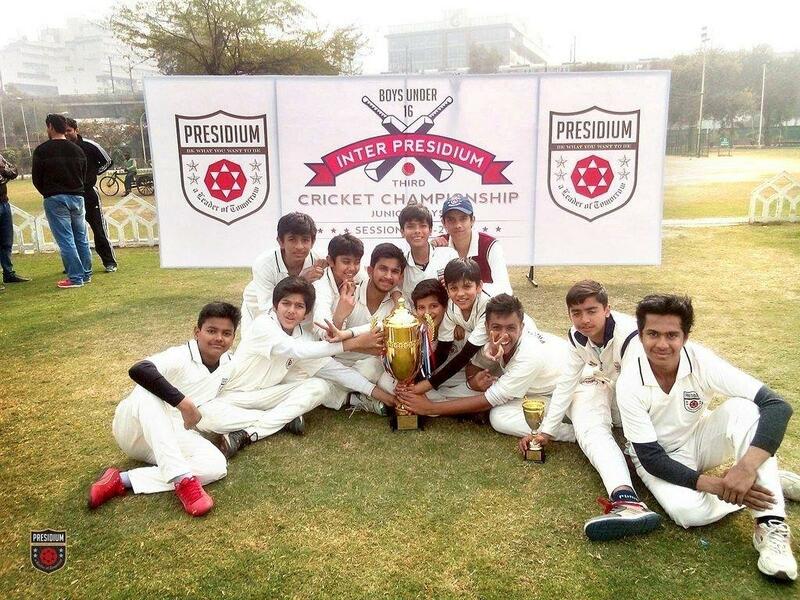 Advay Jagota of Presidium Indirapuram won the trophy for Best Batsman along with the Overall trophy. Let’s revel together in the glory of their victory. Congratulations to the students and the Coach!